You may notice that the past several parties feature kid's crafts!! Between vacation, VBS, guests, and photo shoots, I've had no time for my own crafting!! This weeks high is tops. These tops are super duper easy to make. Glue the shooter marble in the middle of the hole in your cd on the bottom side of the disk. 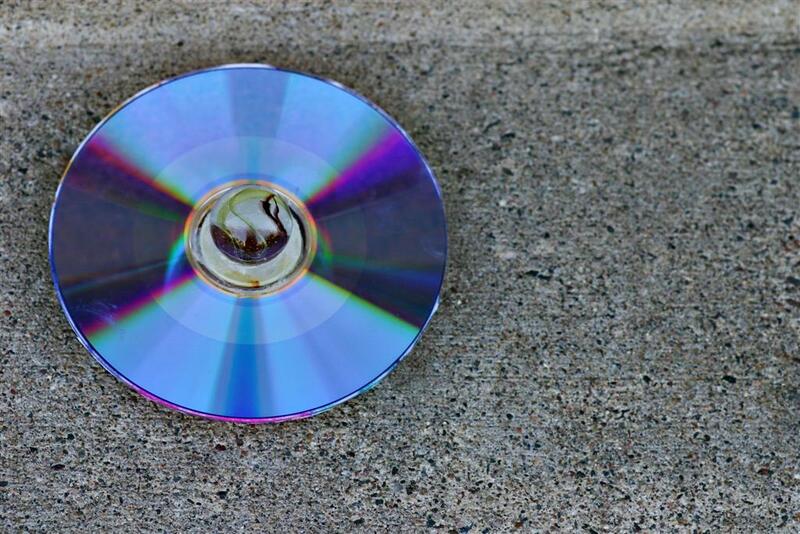 Use a cd as a template to cut out your paper. 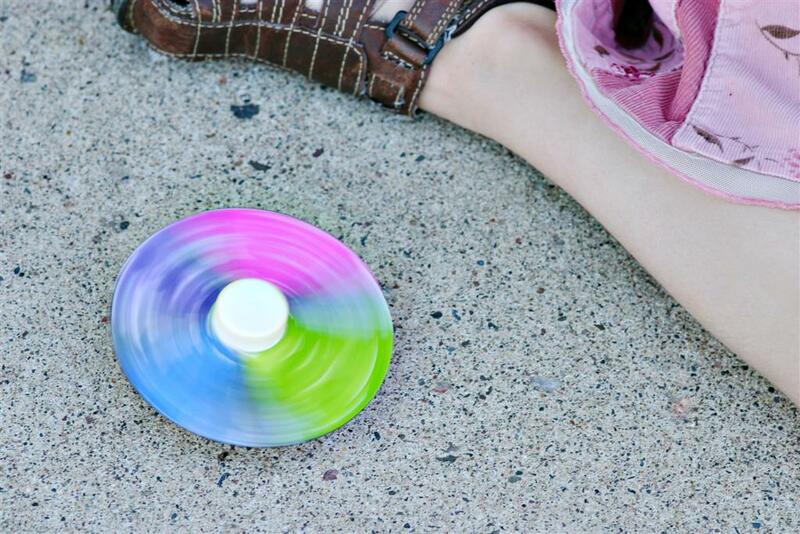 Decorate the paper in bright colors so it looks great spinning. Use the white glue or glue stick to glue the paper to the top of the disk. Glue the bottle cap in the middle top to make a handle for your top. 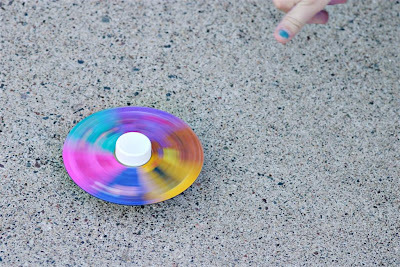 These tops are super easy to spin and spin for a long time!! Last week's party had thirteen entries. There were some super creative ideas. The sheer imagination of the entry by Ann at Make the Best of Things blew me away. 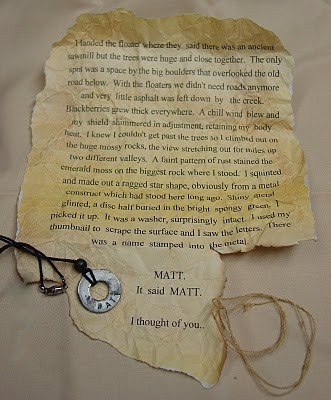 She made a washer necklace for her teenaged grandson and presented in a box with a story - a gift of imagination. 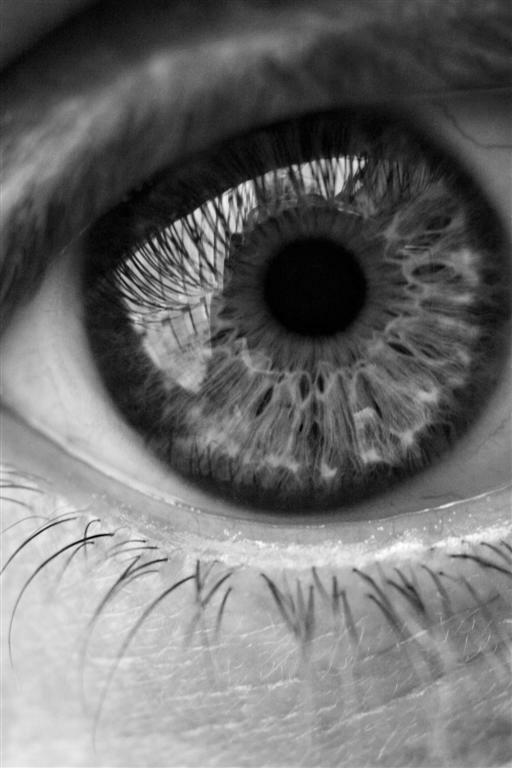 Link to your specific post, not the main page of your blog. Link to something you made that shows off your creative genius; something that gave you a creative high kind of like the endorphin rush that runners talk about. It can be an old post or a new post but it needs to be something you made. Give your entry a descriptive title. Use my button to link back to the party or add a text link in your post. I can’t accept links to etsy shops or online stores. 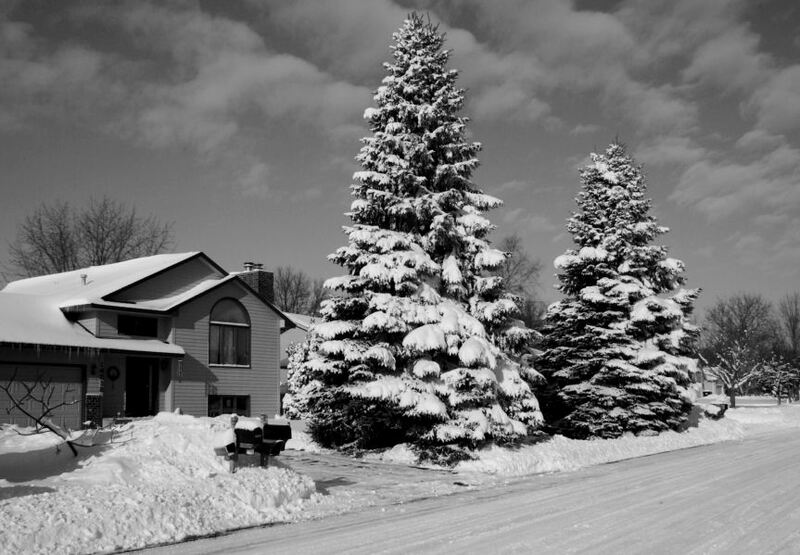 By entering your link, you are giving me permission to use any part of your post including pictures in a spotlight at Those Northern Skies (appropriate credit and links will be given to you and your blog of course). Every Friday at the next party, I will highlight my favorite posts from the previous week. My favorite entrant of the week will win an advertisement in my sidebar free of charge for one month (four weeks). If you do not have a shop, I can put your blog button up or if you would rather I can put up a button for your favorite charity. In addition, for those who make a project inspired by one of my projects or one of my tutorials, I will pick one winner a month and they will get to keep an advertisement in my sidebar for two months. Plus all inspired entrants will be part of a featured post at the end of the month. Hi Melissa...you have a great party...I do not qualify for any of the above....I am not crafty and can't make too much...I am pretty generic I guess..but you do know I can work a mean spray paint can! Have a wonderful weekend..hope you are voting as much as you can....I have til Midnight tomorrow night. Love the latest craft, Melissa. 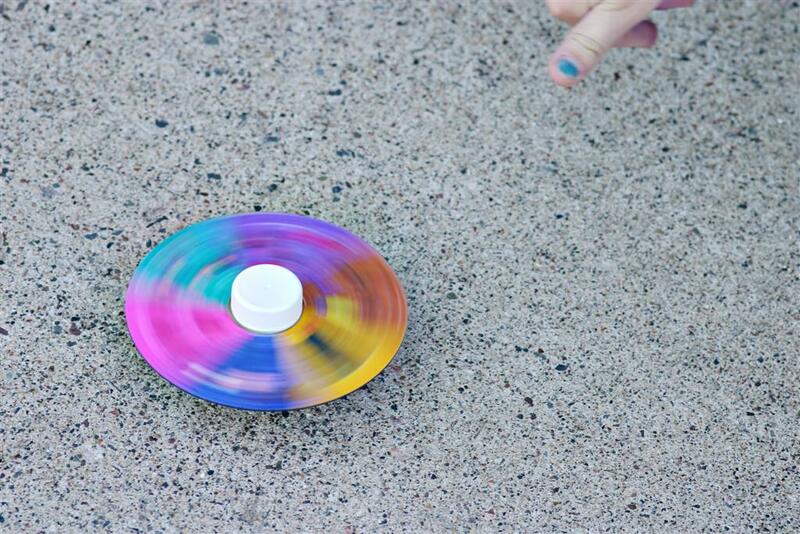 Nice spinner!!! 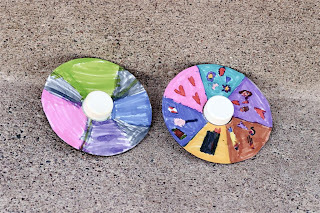 I like your CD spinners, I think I might make one with shiny side up, I think that would look cool spinning outside in the sunshine! 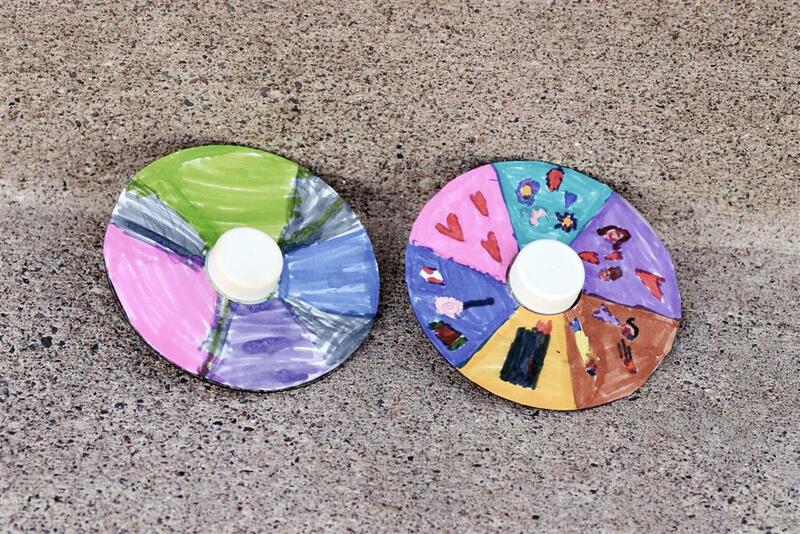 Love that idea to make cd spinners! Thanks so much for linking up to Finished for Friday. What a fun idea! I'm always on the lookout for new craft ideas for kids and this one is a winner. 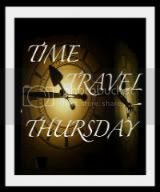 Thanks for linking to Time Travel Thursday. 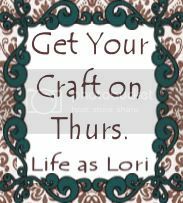 Hope to see you at one, or all three, of my weekly linky parties.